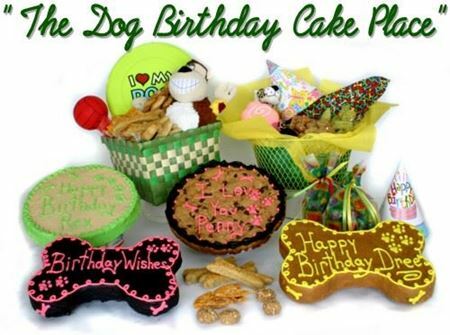 Our objective is to provide healthy and tasty treats and cakes for your pet family. We use nothing but human grade food. 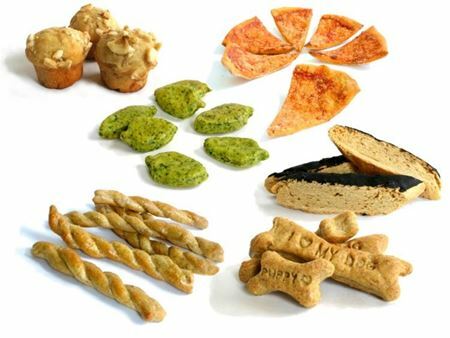 The same chicken and beef you would eat yourself, the freshest fruits and vegetables, providing protein, vitamins, minerals and fiber while offering your pooch a treat. No additives or preservatives. 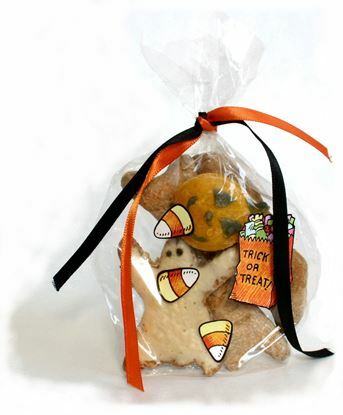 Make sure the Easter Bunny visits your home this Easter with dog treats from Healthy Hound Bakery. 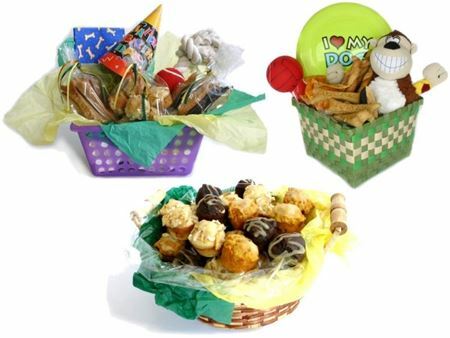 Your dog will hop up and down for our colorfully decorated and delightfully delicious dog treats and Easter baskets. 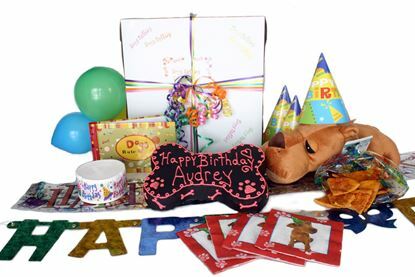 Great as a gift or for your own deserving dog. Hurry, these Easter treats are only available during the Easter season. Thank you for shipping the Valentine's Day treats so quickly! Our two Pugs LOVE them so much. We got the Love Bags filled with a nice variety of goodies. They are gobbling up those treats like they have never eaten before. 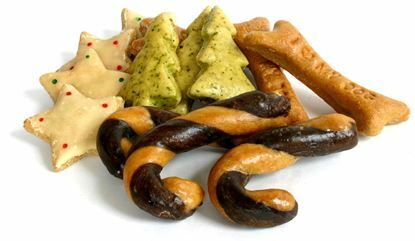 It makes us feel good they are handmade with natural ingredients. We have also ordered cakes from you in the past and will most definitely continue to order again. Thank you from Texas!! Thank you so much for the prettiest birthday cake! My two bullmastiffs LOVE it, and I couldn't be happier with the whole process. The ordering was easy, the cake arrived quickly and in perfect condition. The gift wrap was the "icing on the cake"! Thanks so very much! I want to thank you so much. Tyson loved his cake and toy!! I found you 2 years ago; and I am so happy that I did!!! 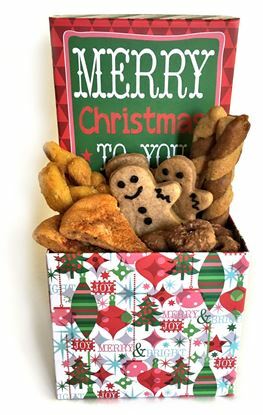 Wonderful, wonderful, bakery!! 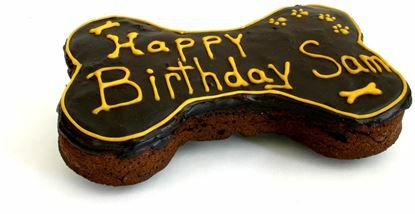 I just wanted to leave you a note saying I received my black labrador Mya's Birthday cake today. I love it!!! I previously bought my dog's birthday cakes from another internet bakery and I'm so glad I decided to try yours this time. The cake was perfect, the shipping fast, and it smelled good enough for me to eat! My other labrador's birthday is coming up in September and I will definately be ordering from you again. Thank you so much!!! I just wanted to say thank you for making Kincaid's birthday celebration so special. 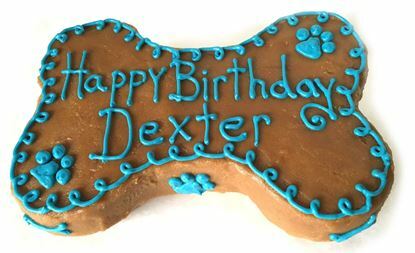 The party was a big hit, and the dogs LOVED the brownie cake, which looked absolutely beautiful.Thanks again - I think you will have some new customers in Washington state! 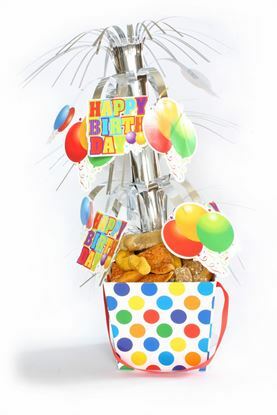 Just wanted to thank you for the outstanding cake and sample treats. They arrived very fast, were in perfect condition, beautifully and professionally decorated and packaged, and most important, were reviewed as paws up scrumptious per our two rescued golden retrievers, Benji and Dora! 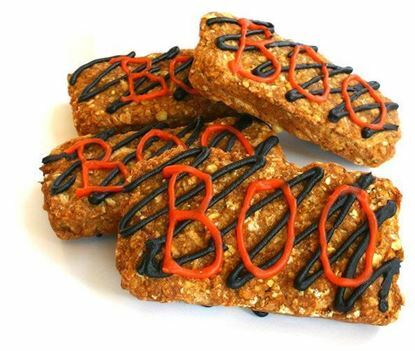 Everything looked as advertised and even looked good enough for human consumption! I was jealous! I highly recommend your bakery and will order again. Thanks so much again!